My friend, It’s time to bloom. Walk in your God-given purpose. Trust me I’ve been there 😩 God’s been telling you what you should do but you’re fighting against your calling. Putting the signs down to coincidence or feeling that if you just do this first, or get that done first then the time will be right. Plus others are doing it so well and you feel like there is no room for you. Feelings of inadequacy, comparison, and inferiority start creeping in. So there you are still praying about it, but really you are just delaying doing it. Comparison and that feeling of ‘who am I to shine?’ were holding me back. Well actually who am I not to shine? 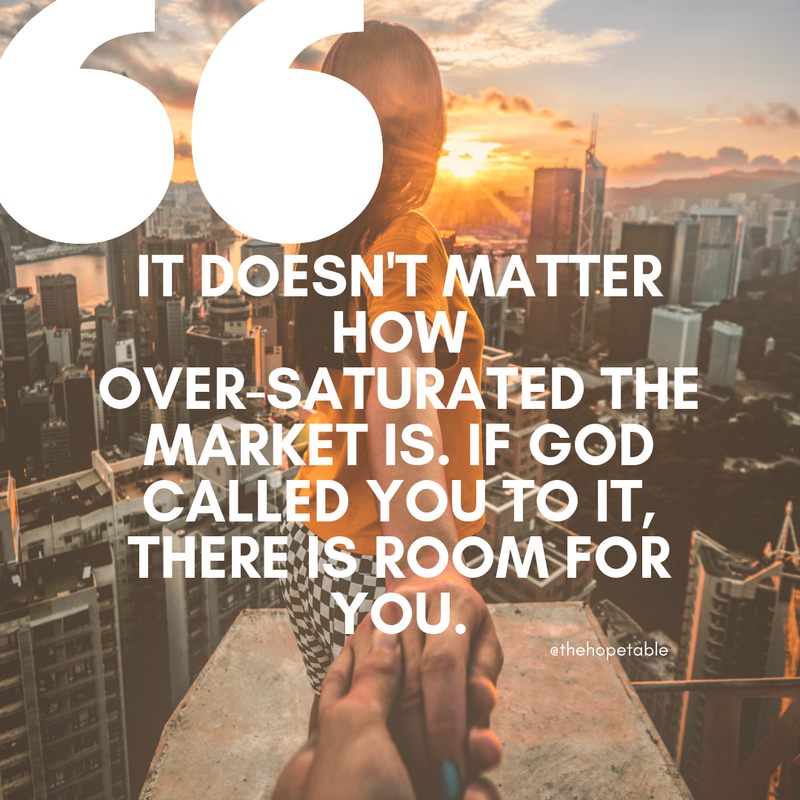 One day as God was working on me this message popped up in my social media, “It doesn’t matter how over-saturated the market is. If God called you to it, there is room for you”. I just wanted to bawl, because I knew I just needed to be obedient and get on with what God is telling me to do! 1) Stop comparing your beginning to someone else’s middle or end. When God is preparing you and equipping you for what He has called you to do, don’t compare yourself to someone who has been doing it for 10 years. Often we look at someone who is at the end goal and suddenly we feel left behind or late which causes jealousy or inferiority. Pray against those thoughts as Gods timing is perfect, for you and for them. Be inspired by them, cheer them on, admire them, learn from them and pray for them, that they can continue to do their good works according to His will as you will also! 2) Don’t do a Jonah! Stop running and hiding from your calling. There’s room for everyone at Gods table, and when you delay in ‘actioning’ your calling, you delay someone’s invite to sit at the table and to feast on the delightful fresh daily bread of salvation, hope, grace and wonderfulness that God gives. You have a fresh daily loaf whilst your neighbour is having stale bread? I’m sorry but croutons don’t taste that great! Let’s learn from our biblical mentors, lets learn from their victories and mistakes. Instead focussing on our inadequacy, let’s focus on God who is El Shaddai, God almighty! Almighty! All Mighty! Stop focusing on your weakness and focus on HIM! Well I understand. Check out this post out. It might just be what you need to here. I don’t have time for God I’m doing my laundry. I needed this encouragement. Thank you so much! I fall into comparing and fear and there’s no room for that alongside the faith I have. ‘Stop comparing someone else’s end to your beginning.’ Yes, girl! I love that – it’s so true and it’s exactly what women do, but need to stop doing! Wow! Thank you for sharing this experience. I know I needed to hear it. I often doubt myself and my abilities. And I know I shouldn’t. I so needed this. We’re studying Jonah in our Bible Study right now and I’ve never actually applied the idea of him running from God’s calling and me running from God’s calling, but it’s all the same. Thank you! What a beautiful message! Your blog is stunning! 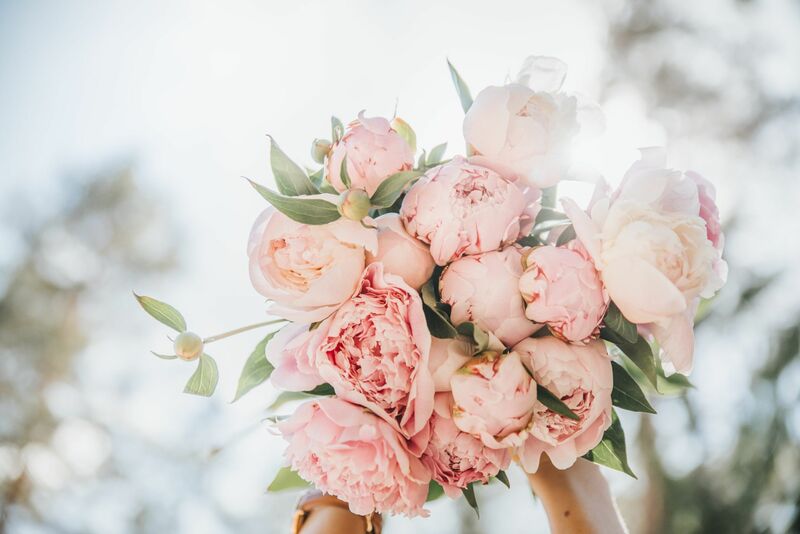 Thank you for linking up at Salt & Light! Wow, this is speaking directly to me. Thank you so much for writing this and following Jesus on this topic. It’s a sign. You have no idea, thank you!!! Thanks for this encouraging post. I know I definitely compare myself to others and wonder those very thoughts of whether the market is already saturated, and whether I can make any kind of difference or impact. We have to remember it’s not dependent on us. Unfortunately when we do start comparing ourselves to others, we take our eyes of God and what he can do even in our weakness. This is amazing! Its such a breath of fresh air, really inspiring and its a perfect little read with a cuppa in the morning!! And YES! I can, we all can do all things through Christ!!! ’Feel the fear and do it anyway’…LOVE IT!!! It’s not often you hear messages that encourage you to run towards the thing you are afraid of, but it’s absolutely essential for growth. Sitting with all you lovely ladies at the Hope Table is a great feast with Christ at the centre. Wonderful encouragement. Thanks so much for sharing this! Thank you for this amazing intro piece. You are such a blessing! Looking forward to feeding from The Hope Table! Yes indeed! Who are you not to shine? It is God’s presence and strength that equips us to do what He is calling us to do, not our own strengths or lack thereof. This post is confirmation of what God is calling me to do (offer a course to help women discover their unique identity and grow in confidence, courage and creativity). Love it thank you so much!! !